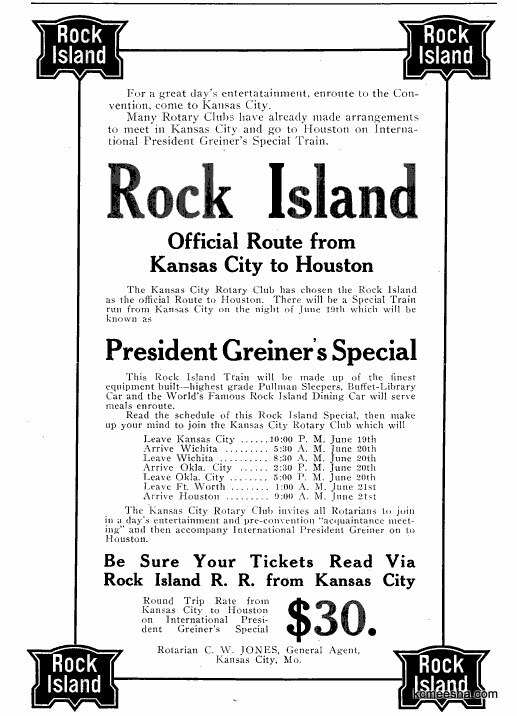 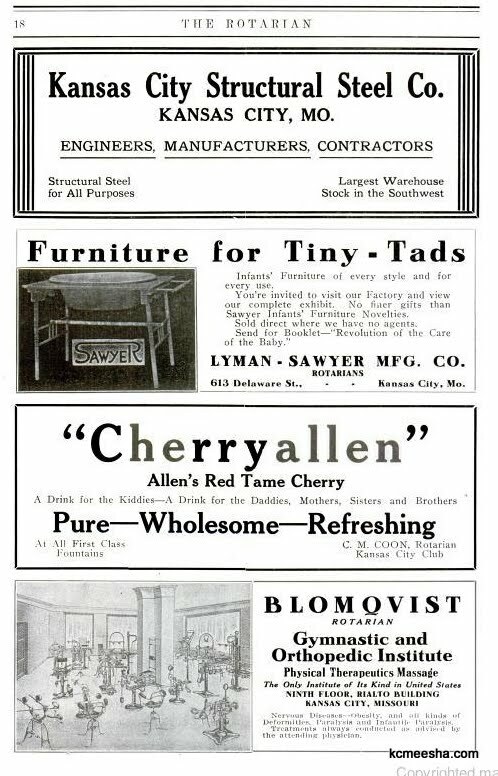 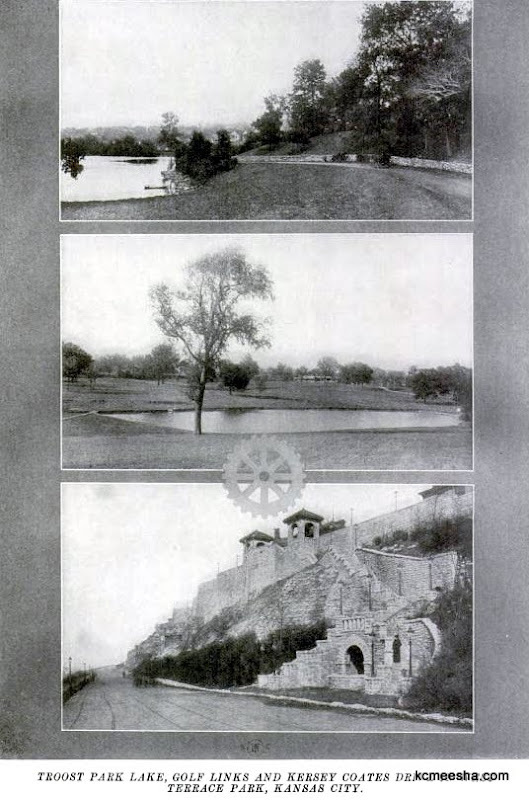 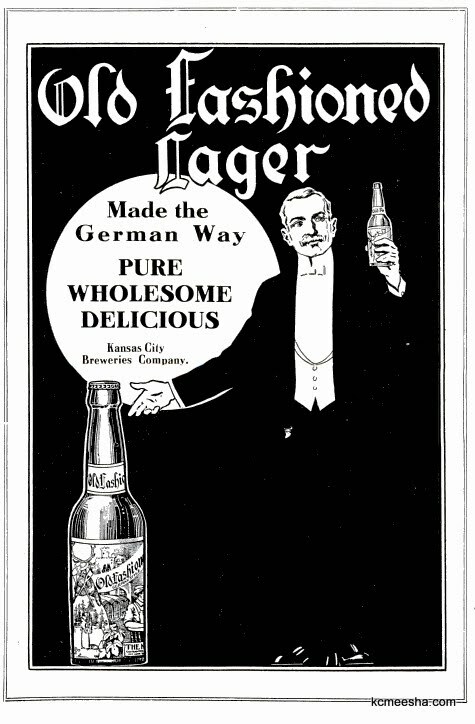 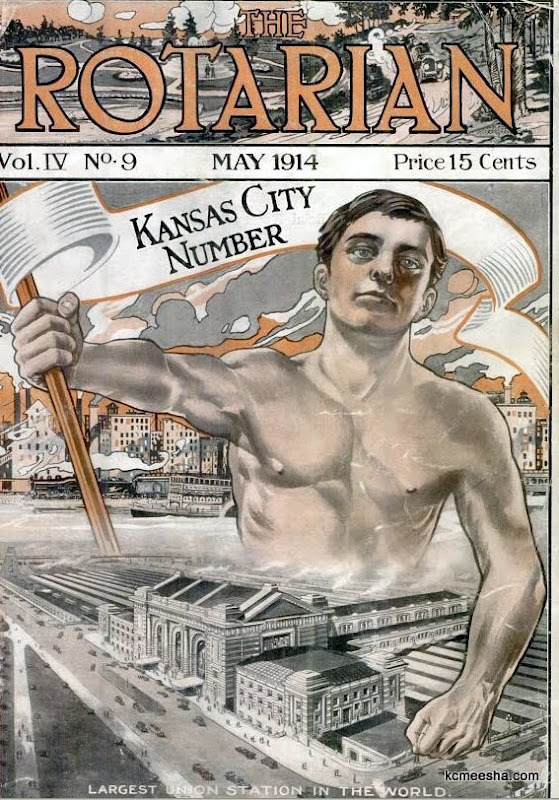 Giving the Life Magazine a break, we continue onto the May 1914 issue of the Rotarian Magazine which was largely dedicated to Kansas City. 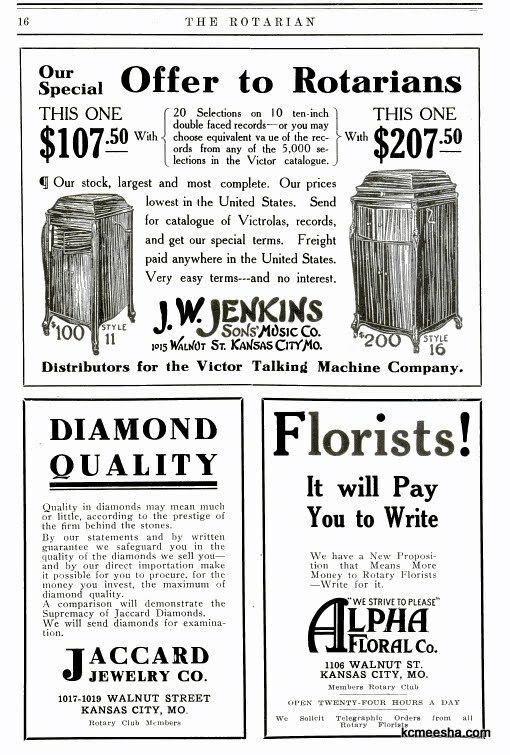 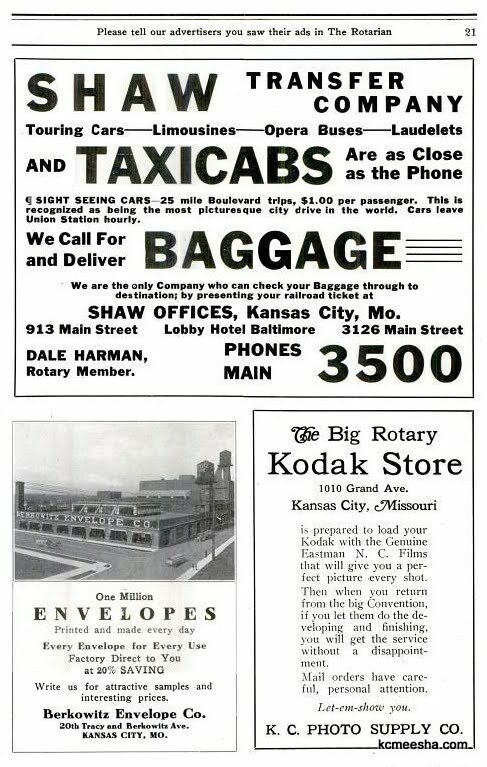 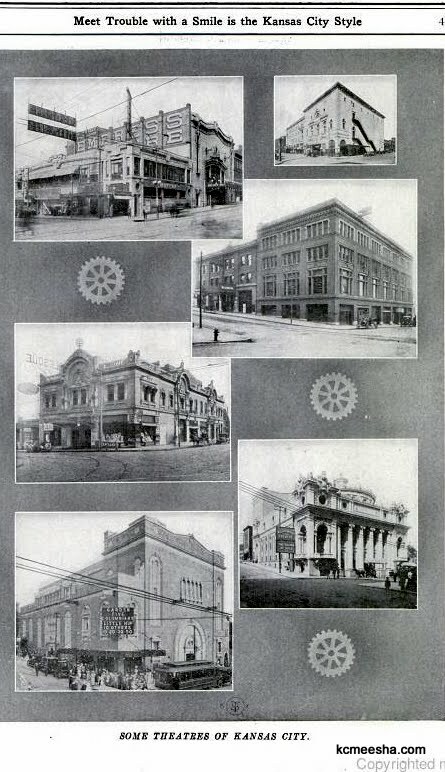 Filled with photos and articles where mustachioed men took turns extolling the virtues of Kansas City, its businesses, theaters, schools, real estate and architecture. 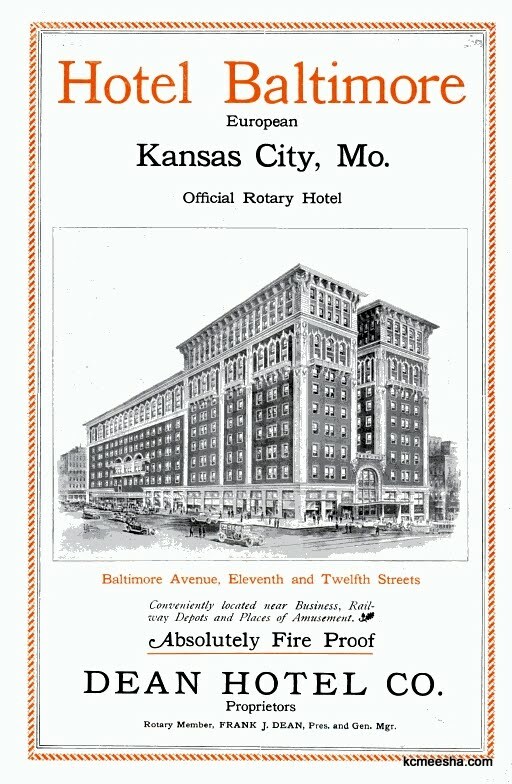 If you are bored at work a fan of Kansas City history, you should be reading this magazine already. 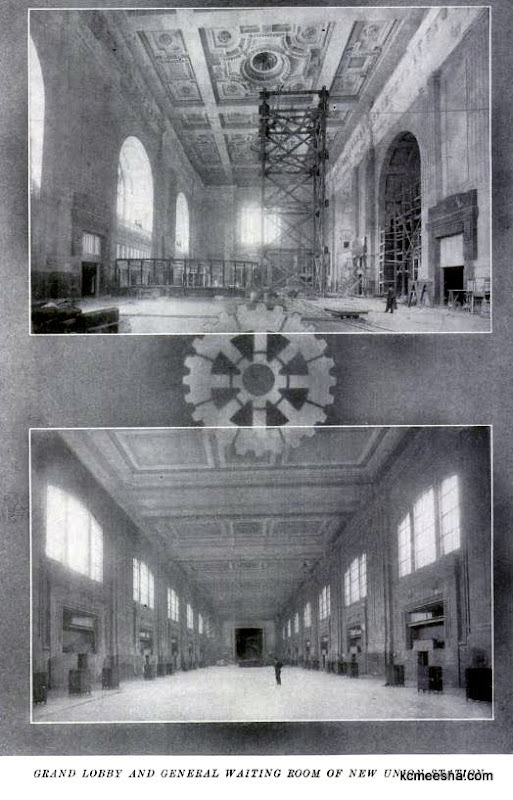 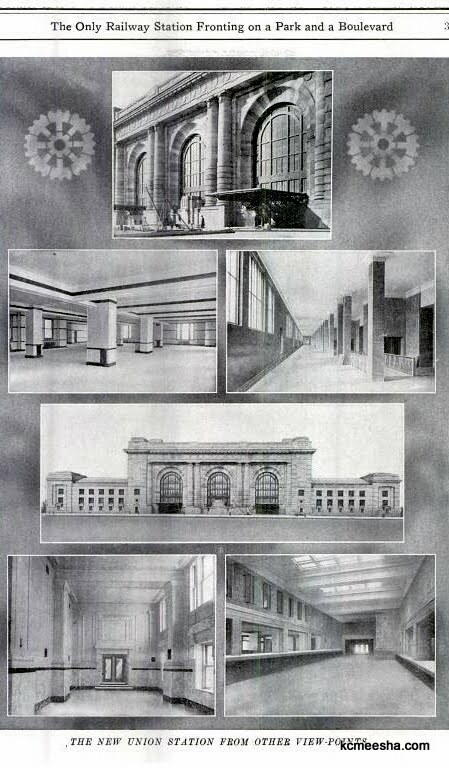 1914 was the year when the Kansas City Union Station was opened and the magazine dedicates the cover and several pages of photographs and essays to the “largest Union Station in the world”. 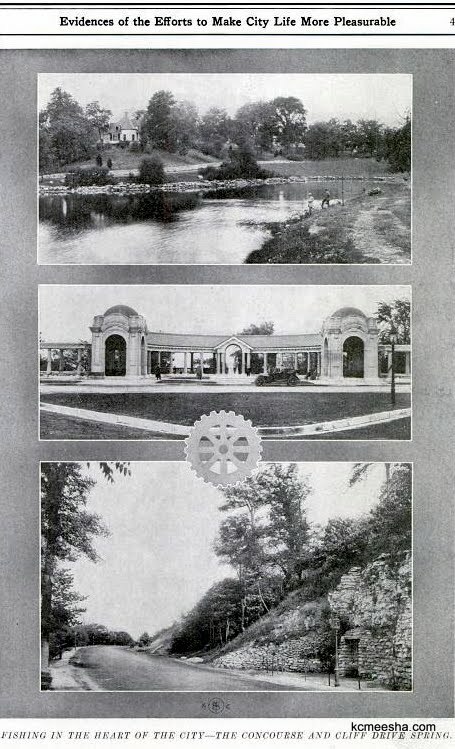 The only railway station fronting on a park and a boulevard. 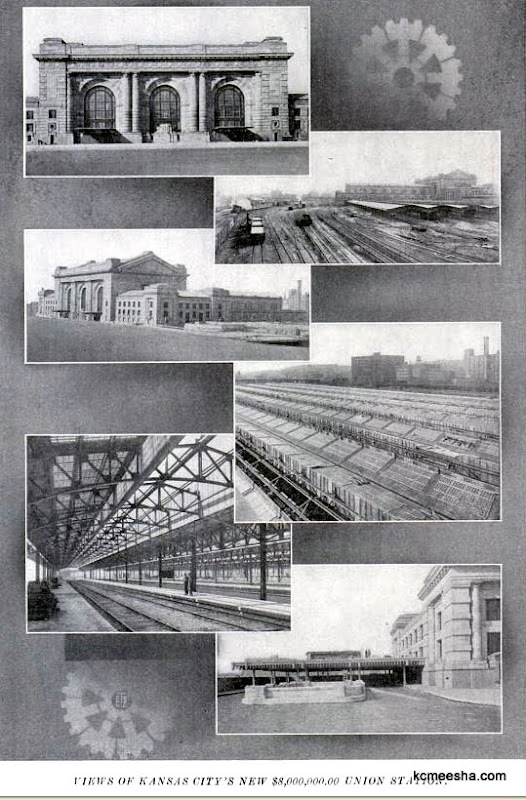 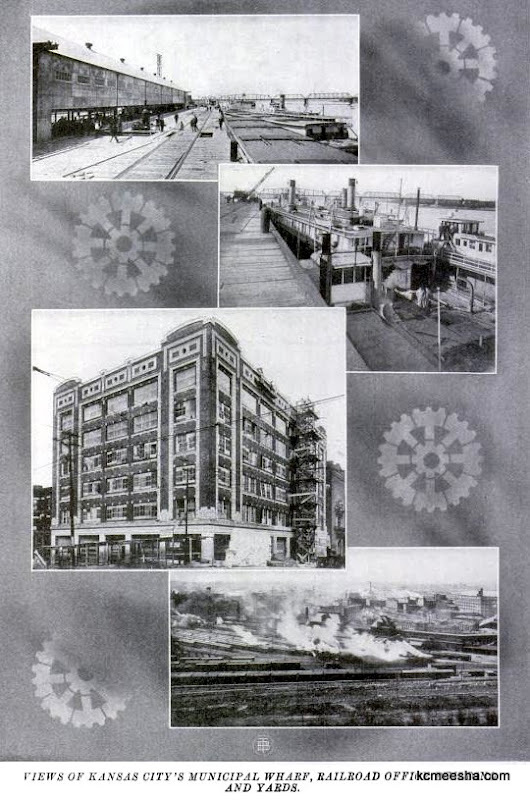 Views of Kansas City’s Municipal Wharf, Railroad office building and yards. 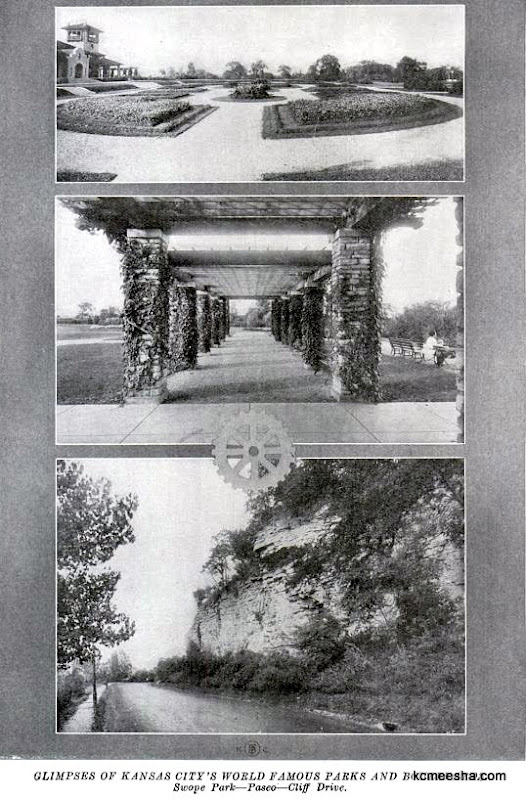 Fishing in the heart of the City, the Concourse and Cliff Drive spring. 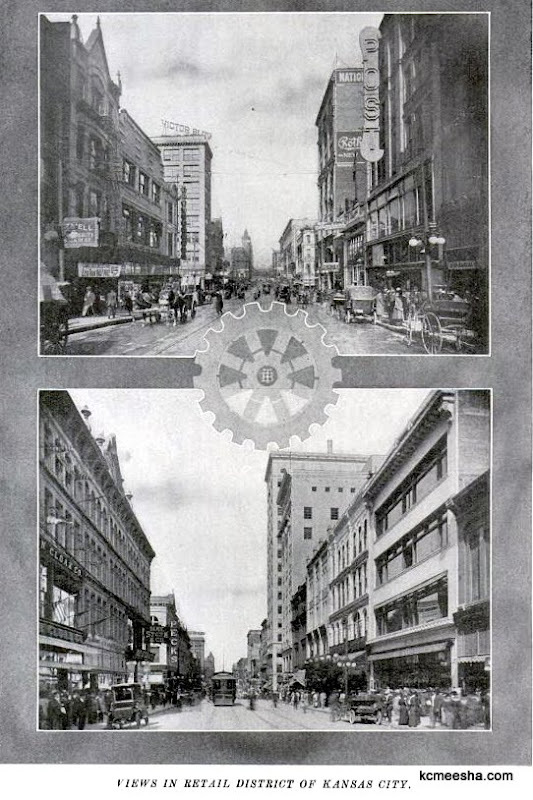 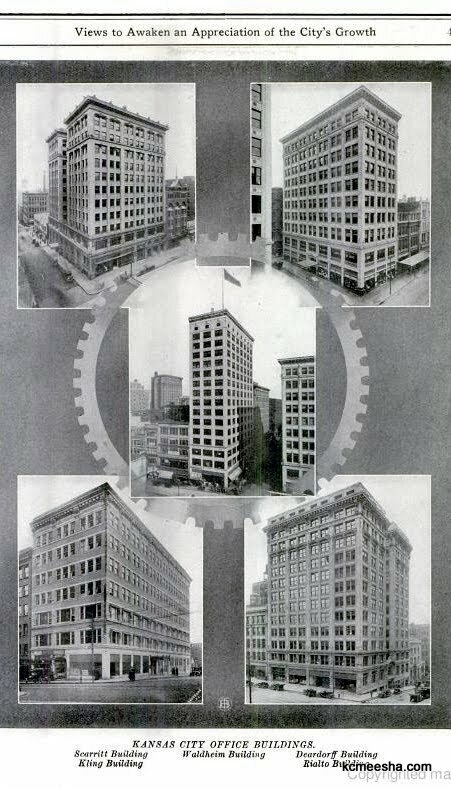 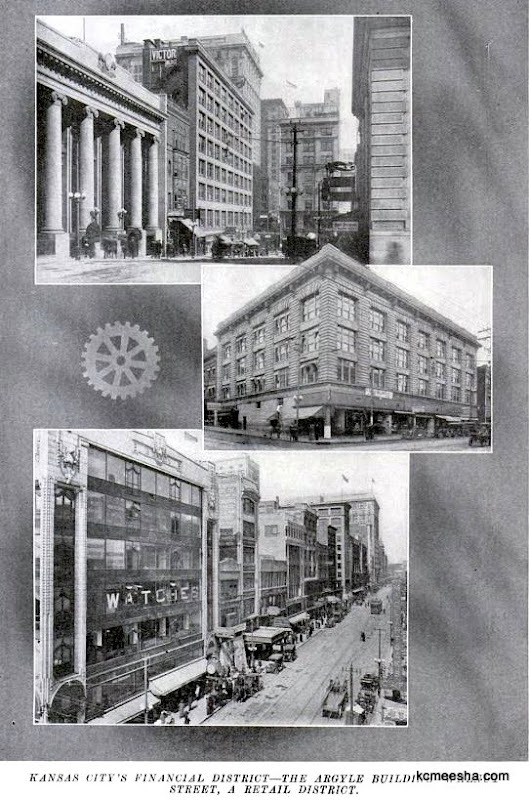 Kansas City’s office buildings: Republic Building, Victor Building, Grand Avenue Temple Building and Church, Commerce Building, Sharp Building. 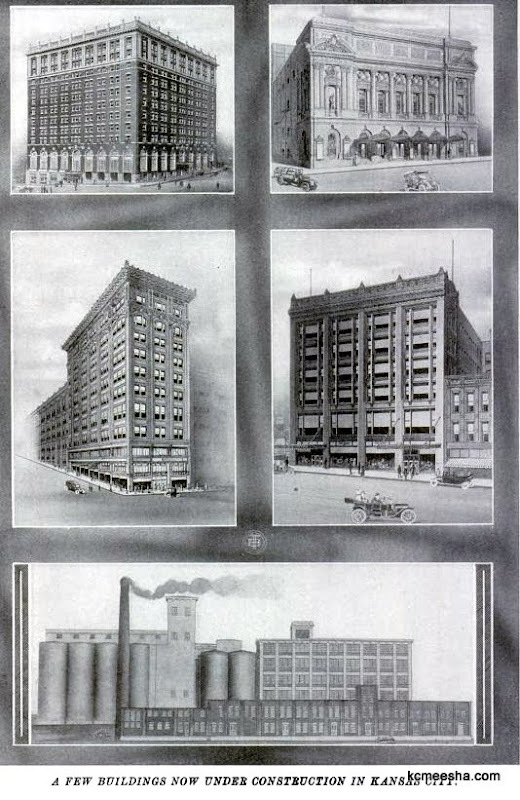 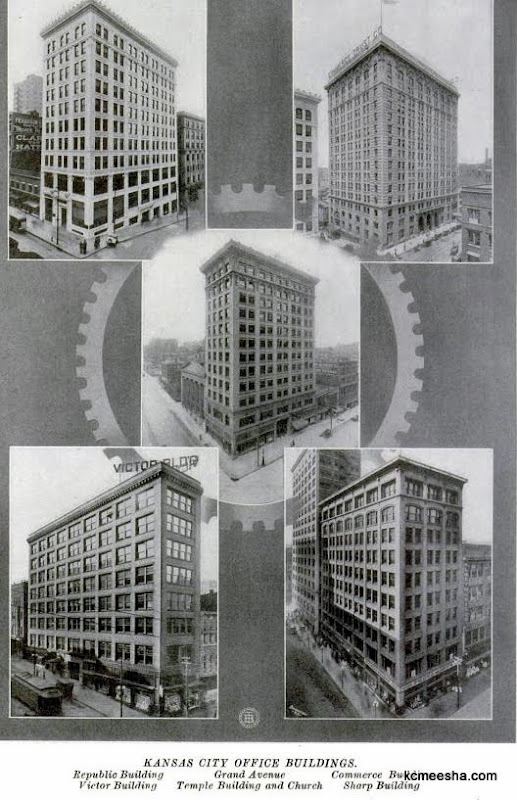 Kansas City office buildings: Scarritt Building, Kling Building, Waldheim Building, Deardorff Building, Rialto Building. 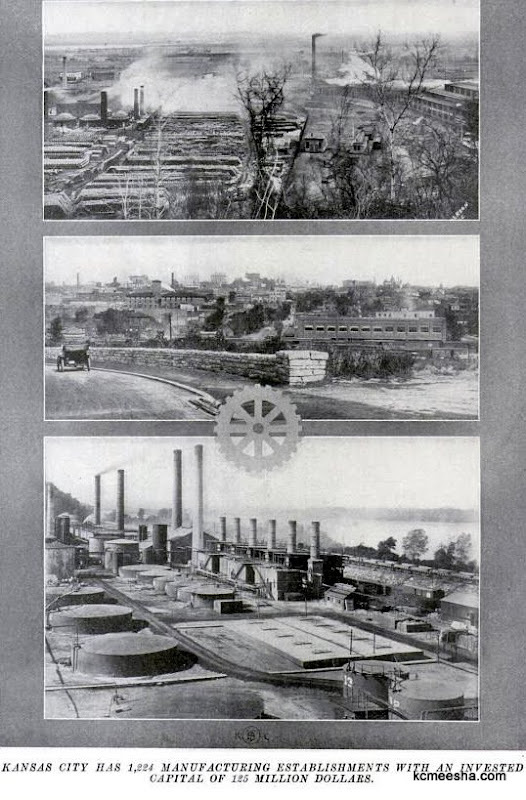 A few buildings now under construction in Kansas City. 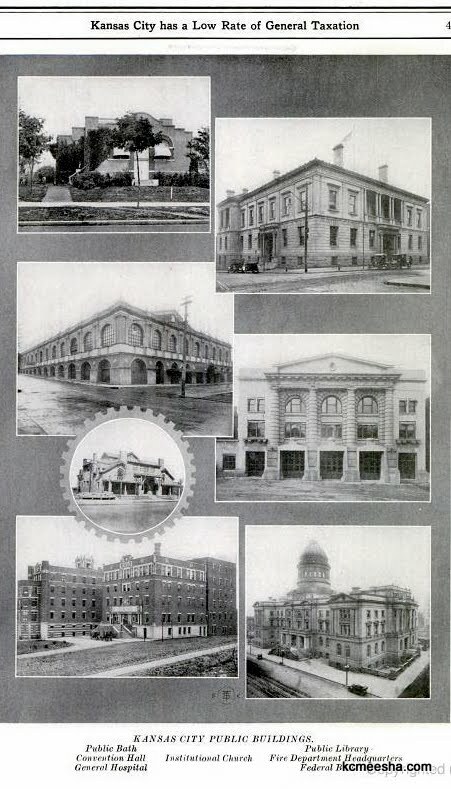 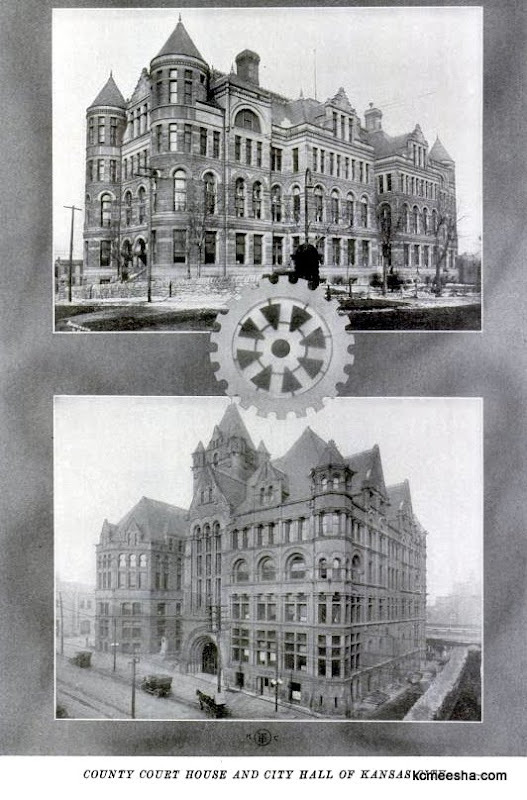 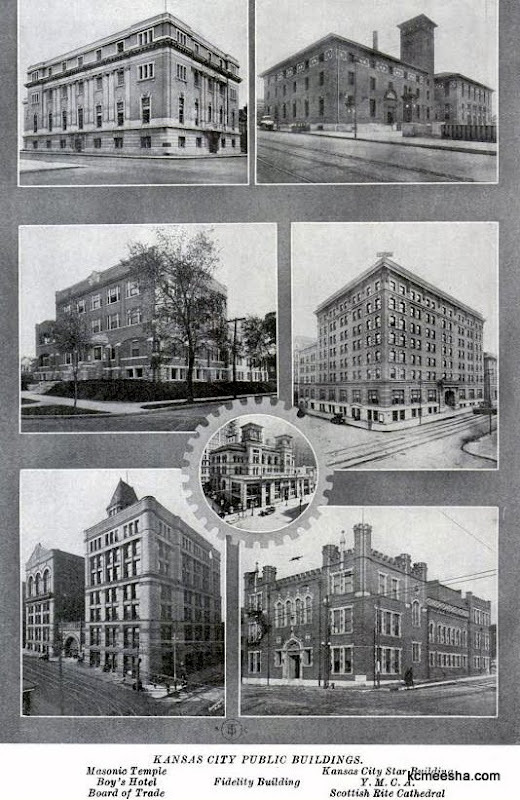 Kansas City public buildings: Public Bath, Convention Hall, General Hospital, Institutional Church, Public Library, Fire Department Headquarters, Federal Building. 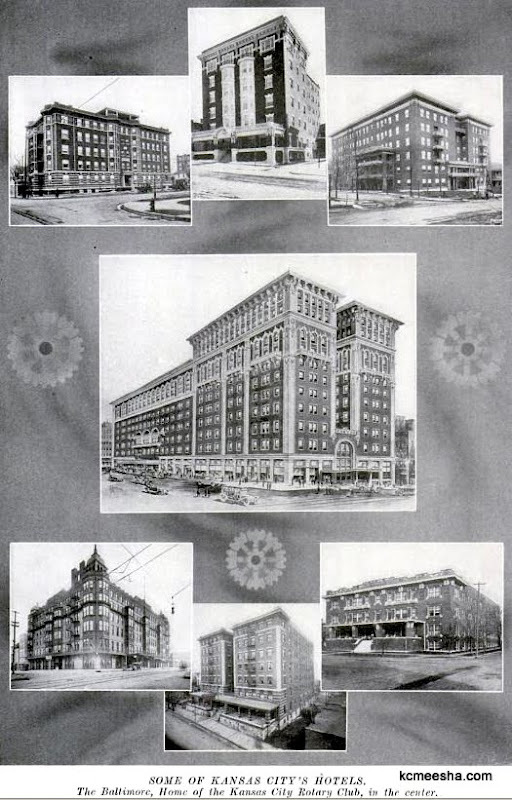 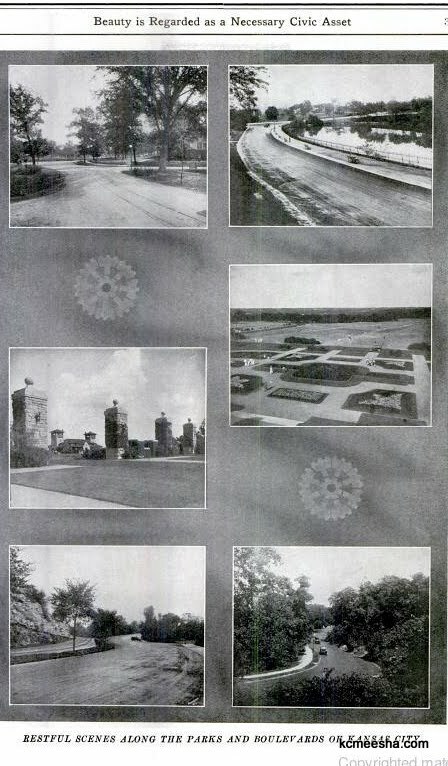 Kansas City public buildings: Masonic Temple, Boy’s Hotel, Board of Trade, Fidelity Building, Kansas City Star Building, Y.M.C.A, Scottish Rite Cathedral. 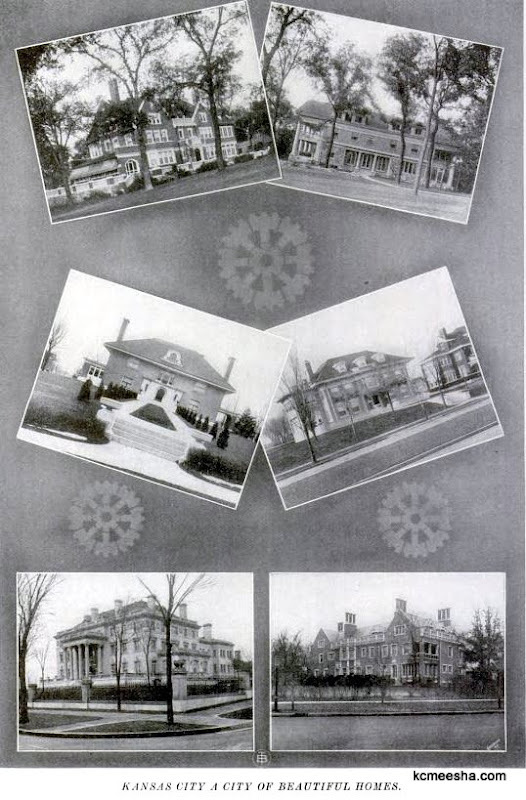 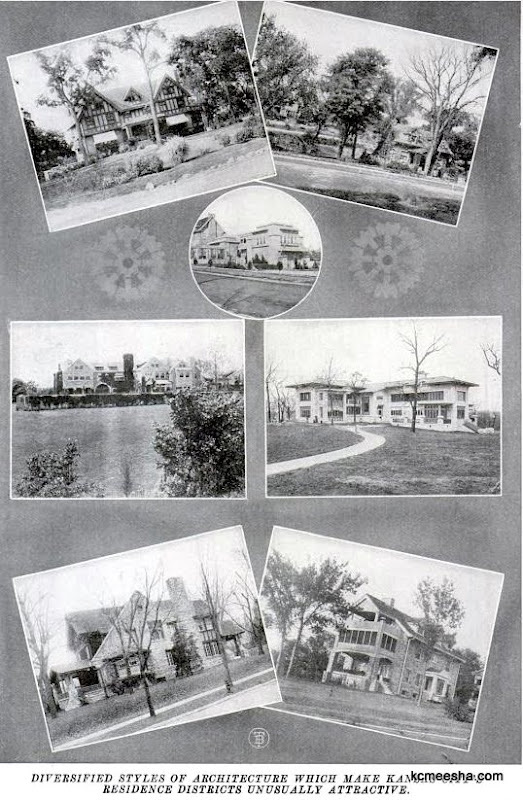 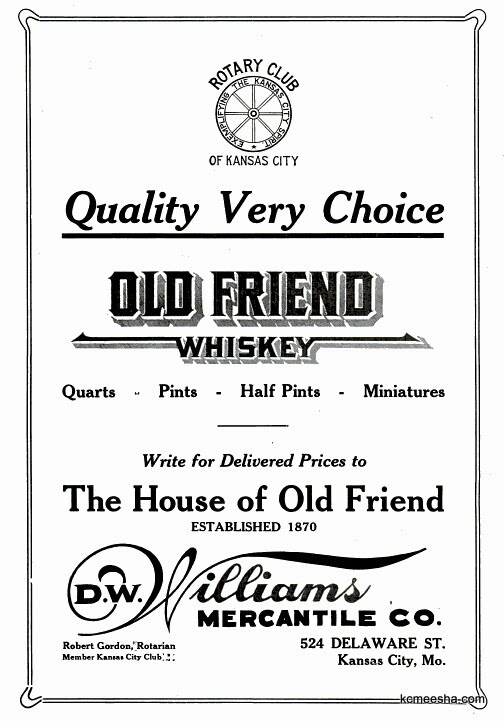 Types of moderate priced residences which have given Kansas City a world-wide reputation as a home city. 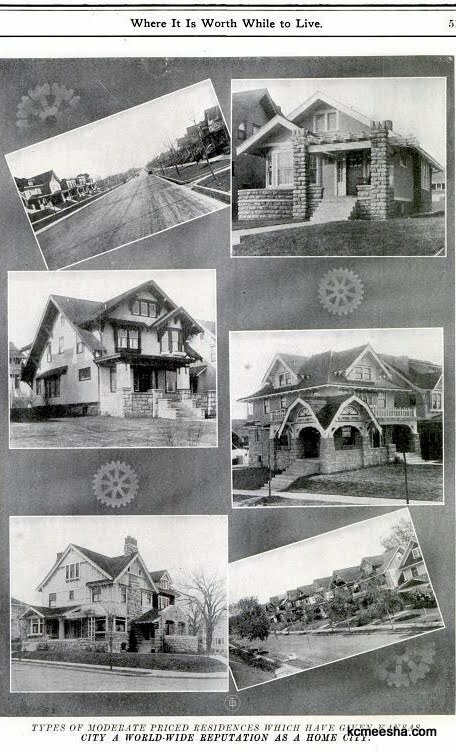 Diversified styles of architecture which make Kansas City residence districts unusually attractive. 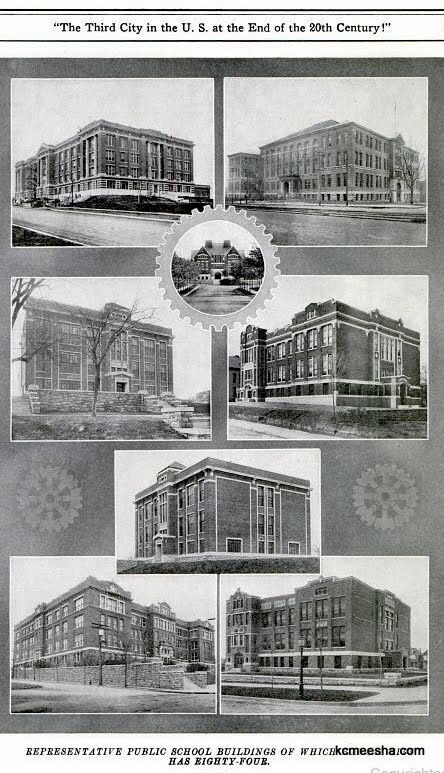 Representative public school buildings of which Kansas City has eighty four. 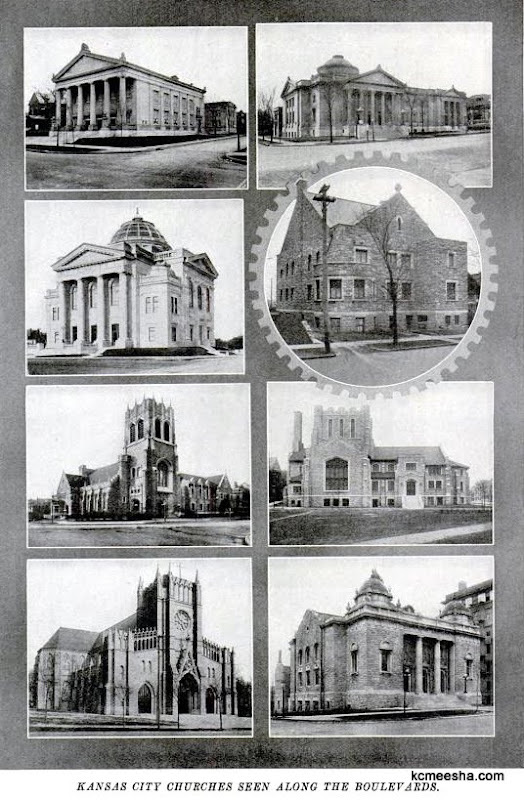 Kansas City Churches seen along the boulevards. 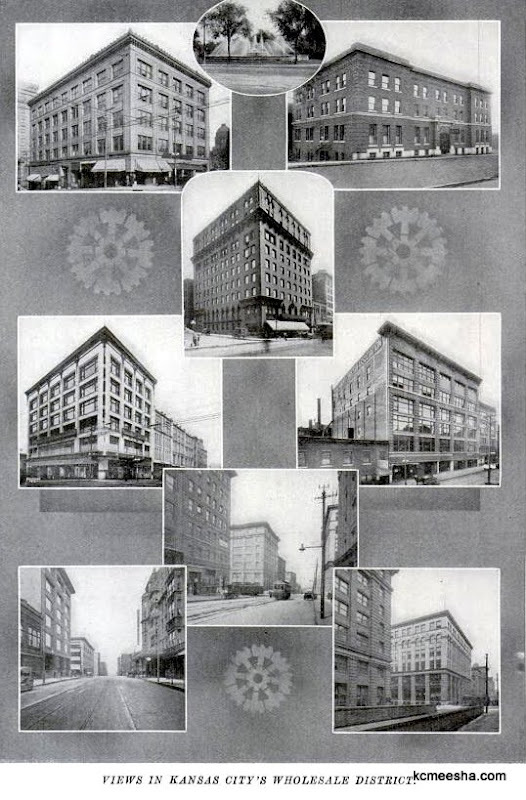 Kansas City financial district: The Argyle Building, Walnut Street, A Retail District. 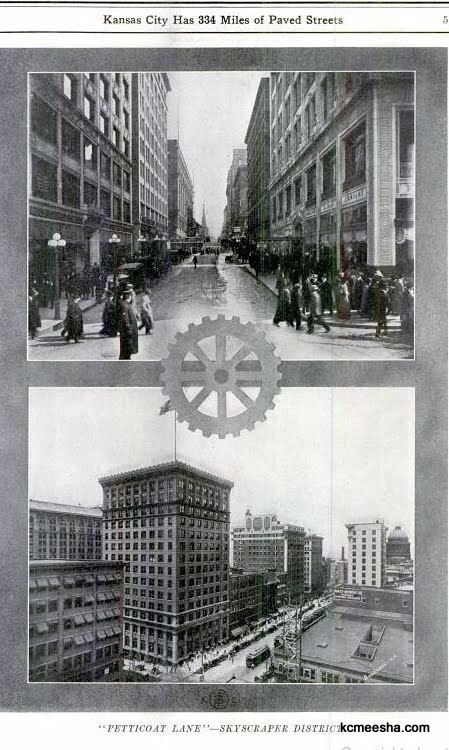 Inter-city viaduct, Type of Kansas City bank architecture, Twelfth Street looking East. 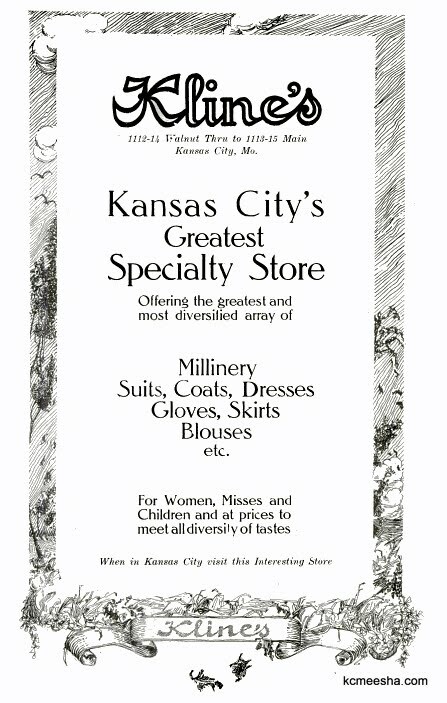 Views in Kansas City’s Wholesale District. 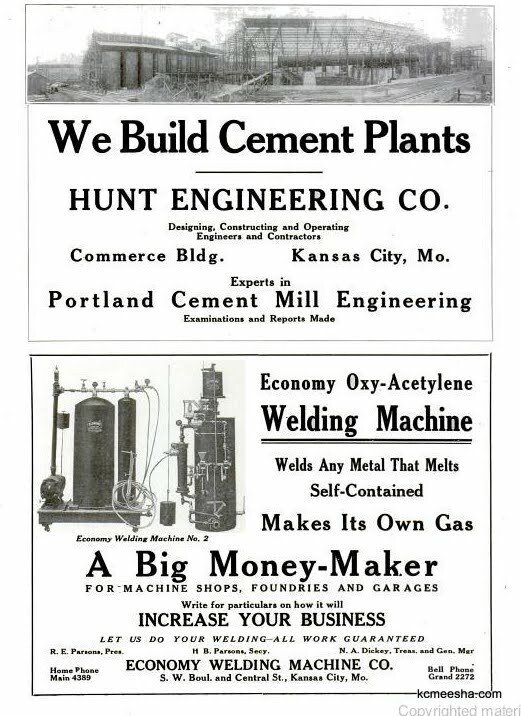 Kansas City has 1,224 manufacturing establishments with an invested capital of 125 million dollars. 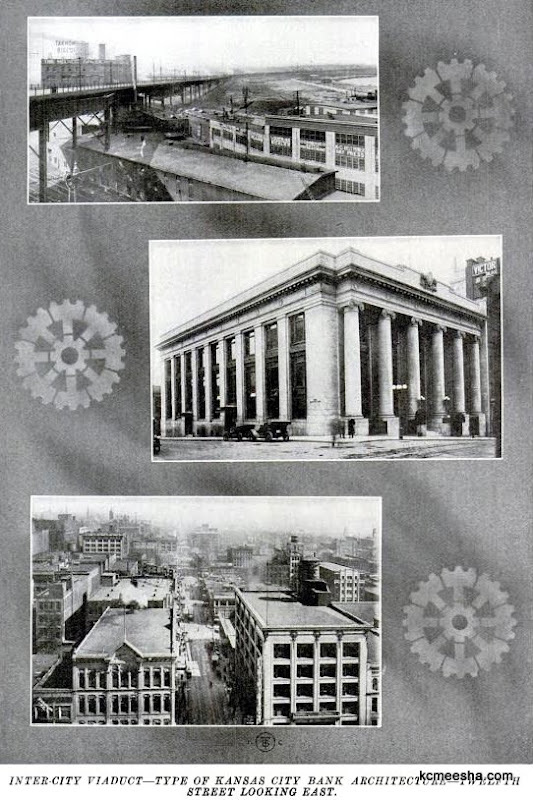 Views around the Stock Yards, showing the live stock exchange building – the largest in the world. 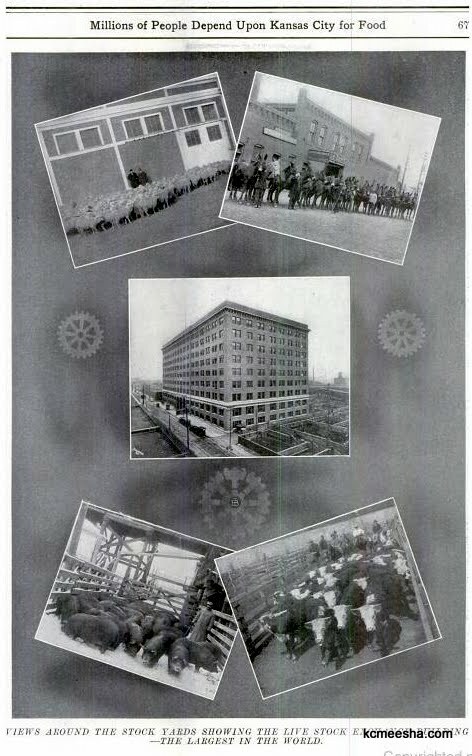 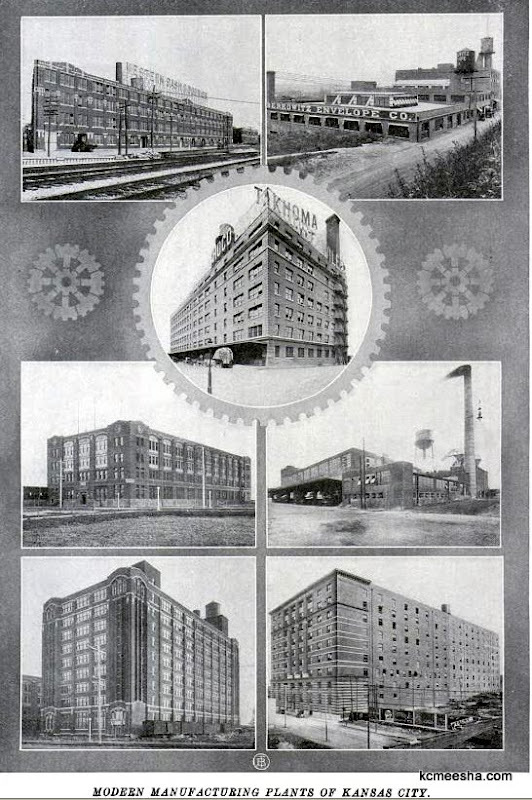 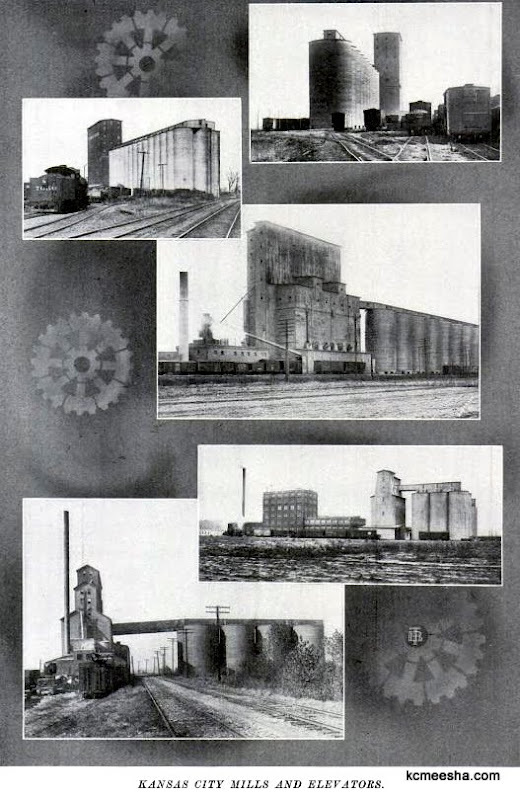 Kansas City mills and elevators. 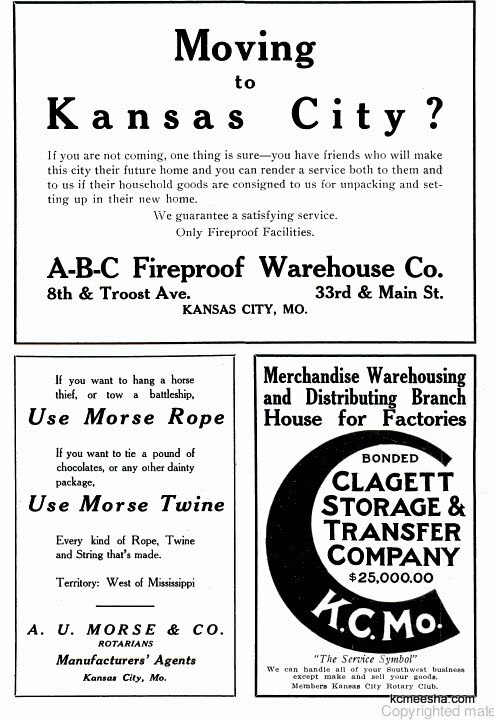 If you want to hang a horse thief, use Morse rope.